Hey Everyone how was your day today ? Mine was really really good, I went out to do a little shopping (thrift) and decided to drink some wine tonight while playing Just Dance with my mom; Can't complain about a night like that now can I ! Today's Look was really really casual as you can see, and I finally got my hands on the DIVA lipstick yay me ! I just love it looks on me. 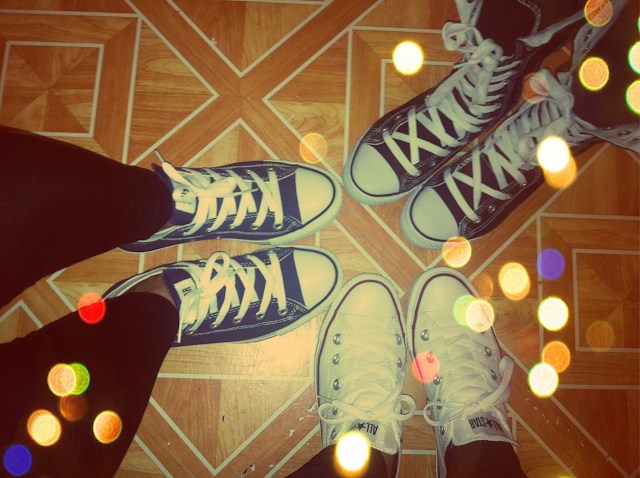 I found it cute that my mom and lil sis including myself all had on a pair of chucks on the most cutest thing ever ! !